You are currently browsing the Archaeofacts.com archives of Musings for the day Monday, May 14th, 2018. 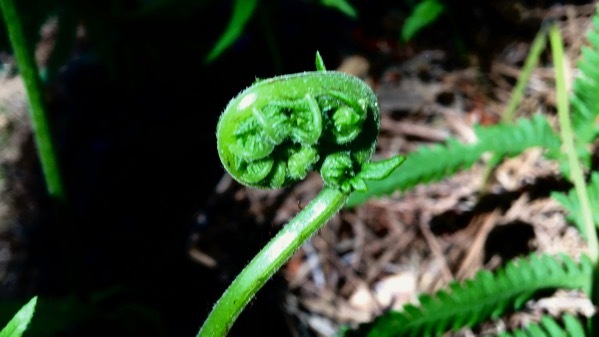 A wee bit of Goo-ing indicates that the fiddlehead is a stage of development, and not a particular species of fern (contrary to my youthful understanding…kids with access to the web live in such a different world than I grew up in*). This one is a lean specimen of fiddly-ness. * This must be about the one-millionth™️[] time I’ve thought this.